UBC psychology professor Jessica Tracy examines the role of pride in shaping our minds, and how pride helps politicians like Donald Trump attain power. Antarctica has more in common with outer space than you think. A new study finds that infants as young as six months figure out that a person with more friends will be more dominant than someone with fewer companions. The festive season is upon us and researchers at the University of British Columbia are available to comment on various topics related to the holidays. UBC developmental psychologist Andrew Scott Baron cautions the gifts children receive can send stifling messages about gender roles and stereotypes. New UBC research suggests that easing up on email checking can help reduce psychological stress. 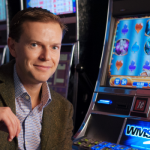 Probing the psychology of gambling, helping problem gamblers and enhancing gaming policy are key goals for the new Centre for Gambling Research. New research finds that children as young as five can be critical of adults who make overly-confident claims. Psychology instructor’s stop-motion animations bring blackboard to life. A gambler’s decision to stay or fold in a game of cards could be influenced by a chemical in the brain, suggests new UBC research. UBC research on eye-tracking devices sheds light on the implications of wearable technology like Google Glass. A University of British Columbia study finds that narcissistic applicants are more successful in job interviews than equally qualified candidates who act more modestly. Fathers who help with household chores are more likely to raise daughters who aspire to less traditional, and potentially higher paying, careers. Sisters’ achievements a combination nature and nurture. As Mother’s Day approaches, a UBC expert discusses ‘baby brain’ and other ways that motherhood changes a woman’s brain chemistry. Could the global financial market meltdown of 2008 have been avoided if Wall Street had more women executives? Ahead of International Happiness Day on March 20, UBC’s Mark Holder sheds light on what you can learn from science about being content. As International Women’s Day approaches, a UBC course helps students gain awareness of challenges faced by girls and women. Spring forward? Is Daylight Saving Time worth it? Ahead of Daylight Savings Time on March 9, sleep expert and UBC Professor Emeritus Stanley Coren discusses the impact of setting our clocks one hour ahead.